Be In Your New Home for The Holidays!! 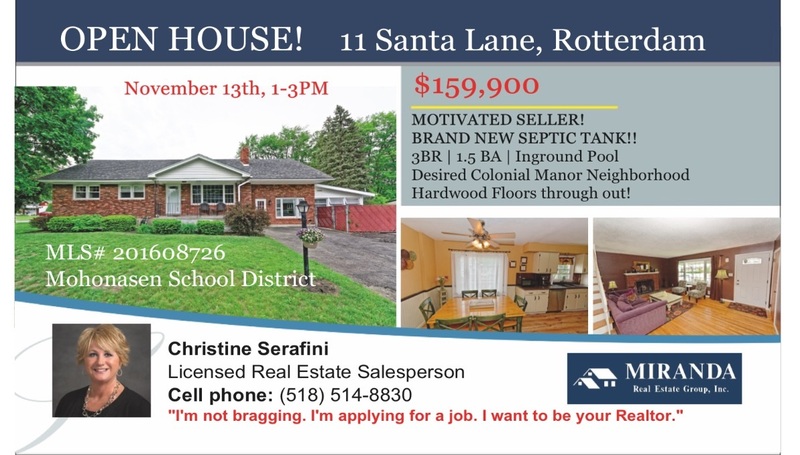 Rotterdam Ranch in desired Colonial Manor on corner lot offers, 3 bedrooms, 1.5 baths & fenced yard w/ pool. Living Room w/ hardwood floors and brick fireplace. Generous size bedrooms. Lg full bath w/ new shower & whirlpool jacuzzi tub. Updated half bath. Newer windows, roof, furnace, central air and CB electric. NEW Septic tank! Family room w/slider to large 3 season room overlooking in-ground pool. Liner 3 years old & new cover!